Creepy doesn't alway go with midcentury, but they hold hands in my house because I tend to like things that other people consider creepy. One of the bigger causes of that is probably the large amount of The Addams Family reruns that I watched as a kid. 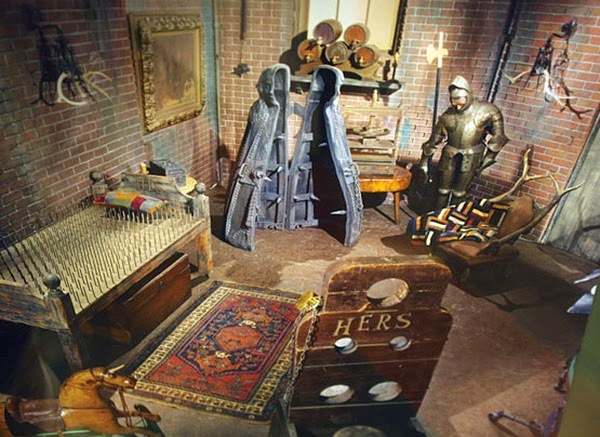 Oviatt Library has an exhibit of work by Richard Fish, which includes color photos of The Addams Family set. 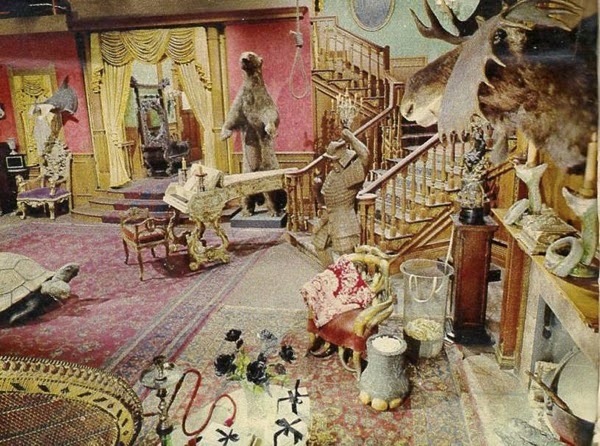 From what I can find, he was shooting an assignment for TV Guide and these were the first photos that allowed the public to see The Addams Family set in color. It's neat to see something so ingrained in my mind in black and white, in color. Especially such bright colors – red rugs, buttercup curtains, mint walls and ivory piano. It's a bit surprising, but I can see why Gomez would find it homey. He always had a bit of flair.